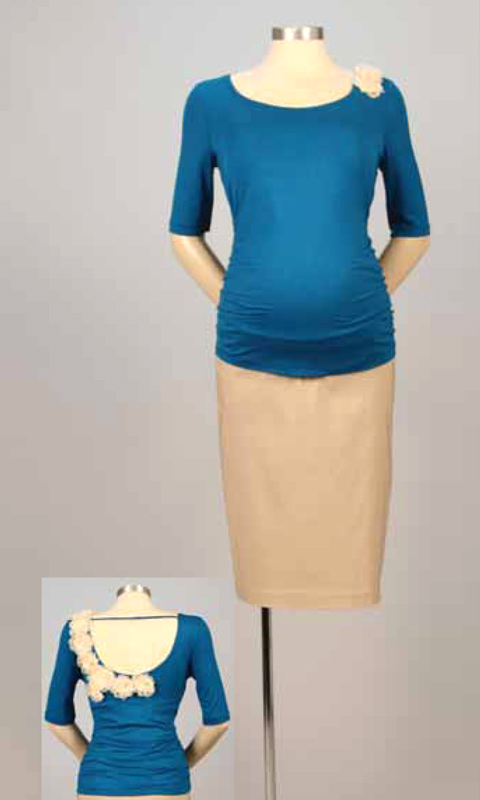 This Japanese Weekend d&a Understand Top is one of our absolute favorite maternity tops from the Spring 2011 line. We love the color, the flowers that sit on the shoulder and swoop down the back, the ruching at the waist, and the fact that it’s a “during & after” (d&a), meaning you can wearing it during and after your maternity. It’s elegant and beautiful — just like someone in bloom. This top and all of our maternity clothes are now on sale for 25% off — that even includes sale prices. Be sure to use the code: SUMMER25 during checkout.